The kid-friendly horror series that defined a decade returns to comics! Readers beware, you're in for a scare! Brave the spine-tingling world of R.L. 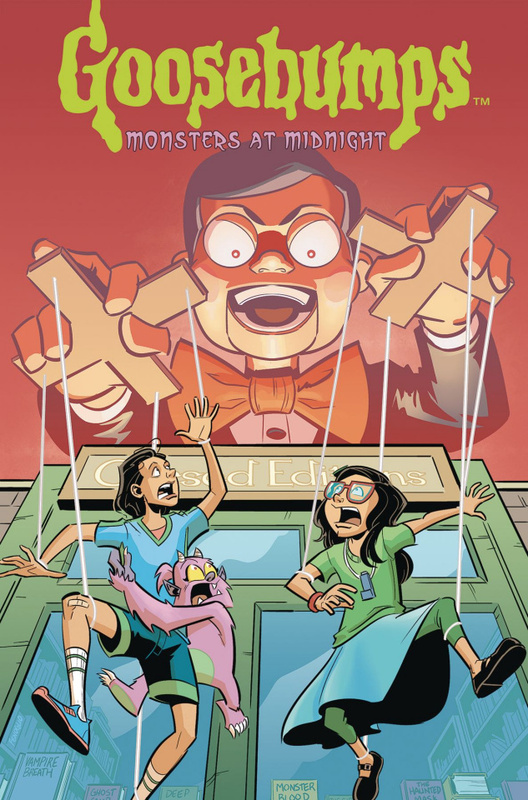 Stine to uncover the thrills and chills of the first ever Goosebumps comic series to feature original stories! Kicking things off is a new creepy carousel spin on HorrorLand! When Mia and Ginny go to stay at their Grandma's mothball-filled house for the summer, boredom forces them to venture out into her tiny town. But, soon, what appears to be a dusty used bookstore plunges them into an upside-down world of terror!